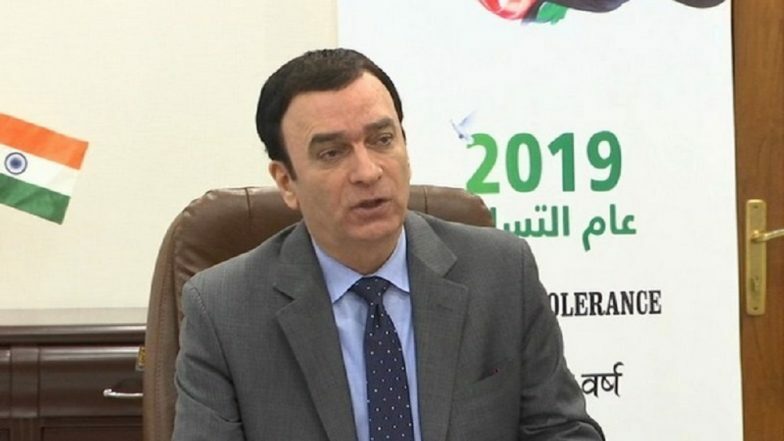 New Delhi, March 18: The United Arab Emirates (UAE) played a crucial role in defusing tensions between India and Pakistan following the Pulwama cross-border militant attack, says the country's envoy Dr Ahmed Al Banna. Speaking to reporters on Monday, the UAE ambassador to India said that Crown Prince Mohammed bin Zayed Al Nahyan directly intervened to prevent a military conflict between the two subcontinental neighbours. "We have played an important role in reducing tensions between India and Pakistan. On the day of major escalation our Crown Prince spoke to PM Modi and PM Imran Khan. Our role was to try and sort out differences peacefully," Al Banna said. Pakistan Would Be Merged With India After 2025: RSS leader Indresh Kumar. Notably, the issues between India and Pakistan are far from resolution -- but have de-escalated as compared to the situation prevailing following the Balakot air strike and subsequent dogfight between the Pakistani Air Force and their Indian counterparts. Earlier, United States President Donald Trump had claimed credit for defusing the tensions, saying that he has spoken to both the sides and "expects some decent news". Shortly after his remarks, on February 28, the Pakistan government agreed to release the captured IAF Wing Commander, Abhinandan Varthaman. New Delhi has, however, so far maintained that the issues with Pakistan could be resolved only under a bilateral framework. A third nation attempting to play as mediator in the dispute will not be accepted, India has reiterated. The UAE envoy, while speaking to news agency ANI, said the attempts made by Abu Dhabi to de-escalate Indo-Pak tensions should not be deemed as mediation. "We did not mediate (between India and Pakistan), it has to be request from both parties. We tried to decrease the tensions through special relationship," he said.